Social media promotions are events like sweepstakes, contests and coupons that take place on a brand’s social network sites, especially Facebook. They center on attracting attention, engagement and sharing. They drive traffic to a brand’s website and create greater brand involvement. Since social media promotions require participants to give an email address and often physical address. They are excellent events for building email lists and databases. Many generate significant sales. Any business with a social presence can do one because costs begin as low as $9.99 a month; To run one, an app is installed on a Brand’s Facebook page or a widget on a website. Campaign Builder that includes instant landing pages and built-in reports along with a growing number of social marketing apps. Marketing integration where companies can socially-enable their email marketing campaigns, website or advertising programs; and track all results in real time. Advanced social analytics where two new tools are a Facebook post database, which shows what kinds of content is driving engagement, virality, and clicks, and a fan database, which helps you build rich profiles of your Facebook fans and enriches them over time.The tools not only tell you that the post last week about Brad Pitt’s graying hair resonated well, but also that all your posts that reference aging movie stars generally go viral. 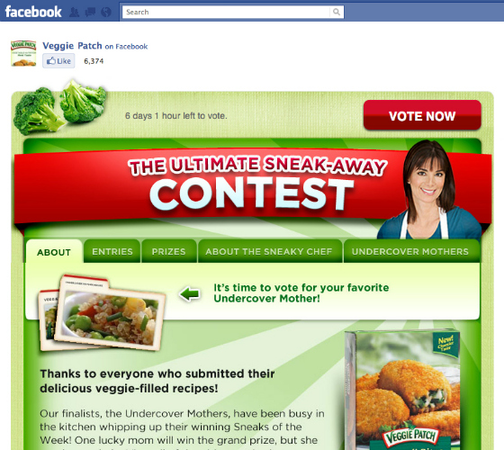 And with about three clicks, you can generate a list of your fans — and non-fans — who are responsive to similar messages. SocialTimes says: The ideal Offerpop customer is an internet or multi-channel retailer, such as Kobo, PokerStars and The Body Shop, looking to add fans and followers, build brand engagement and grow sales using Twitter and Facebook. They are often doing email marketing and online ad buys and looking to boost campaign performance by adding a social component. And they generally like to experiment and run frequent campaigns and create programs that look good and are brand friendly. IS OFFERPOP FOR YOU? If pay-as-you-scale is attractive and you want to integrate other channels, offerpop is great choice. Plus, offerpop has the most sophisticated social analytics. One disadvantage is offerpop is the only company that doesn’t offer call-in customer support. 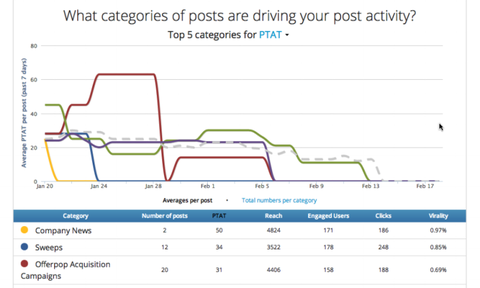 Dashboard allows the contest organizer to manage all contest activity and communication. Users are able to make photo contest submissions from their existing Facebook photo albums, their hard drive or their mobile device; in a video contest, users are able to submit videos from their YouTube account, their hard drive or their mobile. Google Analytics code can be added to the platform, even a conversion tracker to measures ROI on top of existing engagement metrics. Brands can define conversion goals, such a contestant hitting the check out page, and map contest activity (visits, entries, votes, comments) against those goals. IS STRUTTA FOR YOU? The DIYer advantage is great for first timers and businesses with limited resources. The mobile advantages and Google Analytics integration are big benefits. Based in Portland, Woobox is a bootstrapped, profitable team of four, and is not interested in outside funding at this time. IS WOOBOX FOR YOU? The free installation of the Woobox app is an easy way to find out. If social media promotion are going to be a mainstay of your social media arsenal and growing “Likes” is important, Woobox is the most sophisticated number of choices. Wildfire’s “White Label” product provide access to the developers and strategists that take your promotion to a superior level of customization and execution and pricing that goes upward from $3,500+. Google announced they are going to “sunset” or discontinue their Promotion Builder as of June 30, 2013 and move to White Label services with a strategist. This program begins at $2,500/month. IS WILDFIRE FOR YOU? Wildfire, under Google, is moving to an enterprise solution. If your business fits in this category, Wildfire is a tried-and-true solution. BarnRaisers has used Wildfire for years. We’re sorry to see them discontinue their Promotion Builder but wish them the best. They are a great company to do business with. We also like North Social and Heyo and will cover them in a future blog post because, as Google has demonstrated, social media promotions are here to stay. Which of these better mouse traps might be best for your business? Are there any others that should be included? Do you think social media promotions could boost your business? Social media promotions refer to brand building incentives and offers that gain attention through social media sites, website traffic, buzz and word of mouth. Here’s a case in point. 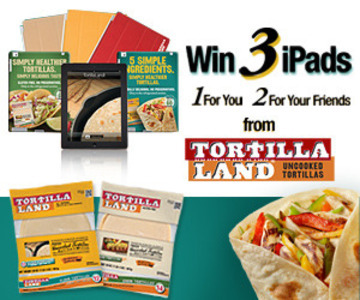 TortillaLand is a brand of fresh tortillas from Circle Foods found in the refrigerated section of stores like Costco, Walmart and major grocery chains, primarily on the West Coast. Distribution across the country is increasing and social media promotions are playing an important role. Once people try TortillaLand, they swear by the fresh-baked taste and authentic eating experience (“like eating a fresh made tortilla at a restaurant”). But the brand’s low awareness and store placement in the refrigerated section, away from main Mexican food aisle, presents businesses challenges. Since these are challenges where fans and advocates can help by spreading the word, TortillaLand has run 5 social media promotions on their Facebook Brand Page within the past year. They’ve helped increase sales +35% versus year ago, built a valuable database, taken Facebook “Likes” from 885 to 15,351 and proved a high return on investment (ROI). Here are 12 best practices of successful social media promotions. DEFINE DESIRED RESULTS: Begin be being clear about what you expect. If your brand is an impulse buy or has a short buying cycle, short term sales increases are certainly possible. If it takes a number of months from first contact to conversion, consider the value a new database provides from entries and use it from re-contact and conversion. CHOOSE THE SOCIAL PROMOTION APP TO MATCH YOUR BUDGET: The software to run the promotion can cost from $200 to $5000+ so there is a budget range to meet the need of any business from a local pilate studio to a CPG company. Social promotion apps are available from companies like Wildfire, Strutta and Votigo. CREATE A HIGH-VALUE OFFER: In promotion, the offer is king. Although high value can be a high dollar amount (like 3 iPads), you’d be surprised how high value “free” coupons are in the hands of people who love your brand. MAKE SHARING PART OF THE OFFER: If you want fans to spread the word, do something to motivate them like give a prize for them and their friends or an incentive (e.g. 10% off) is they “Like” your Facebook page. SPREAD THE WORD: You have to spread the word so think of all you have available to tell fans who will tell their friends and so on – like email lists, Facebook Fans, Twitter Followers. your company blog. Social media sharing generally increases outreach by 33%+. ESTABLISH RULES FOR ENGAGEMENT: Post frequently on social networks (3+ times/week) but look closely to see when and where you are getting the most engagement (e.g. comments, “Like,” Shares, RT’s). Engage when you are getting response; Pull back and look someplace else when you’re not. BUILD A DATABASE: A valuable asset of any social media promotion is the database that comes from entry forms. In the case of TortillaLand, it is now a major business building tool. It has been segmented by state. It is used to reward fans, ask for their help with specific items in specific grocery chains and is used for survey research. LOOK FOR UPTAKE FROM SWEEPSTAKES AND COUPON BLOGGERS: Many people underestimate the media impressions that come from sweepstakes and coupon blogger. Coupon bloggers generate major traffic, have significant followings and are sophisticated internet marketers. This is another reason to create a high-value offer. So it has appeals to them and their audiences. SET ASIDE SOME PROMOTION FUNDS “JUST IN CASE”: Interest and entries is likely to peak at the start and near the end. If needed, save some funds, not a lot, for Facebook Ads or Facebook Promoted Posts. They can have a strong impact. DON’T FORGET THE POST-PROMOTION PERIOD: Once the promotion is over, the communication isn’t. Announce the winner quickly and don’t leave fans waiting. Consider an interview with the winner in a blog and e-mail to humanize the event. Survey your database as to what other offers, incentives or news is most relevant and motivating to learn for the next time. Social media promotions don’t run themselves. You have to be involved but the learning, results and ROI can be very rewarding. If you’re interested in trying TortillaLand fresh tortillas, here’s where you can find a store in your area. If you think this type of thinking can help your business, here’s where you can find out more about social promotions. Do these best practices demonstrate the value of social media promotions for your brand? Give and you shall receive. This life truth is also how social media works. 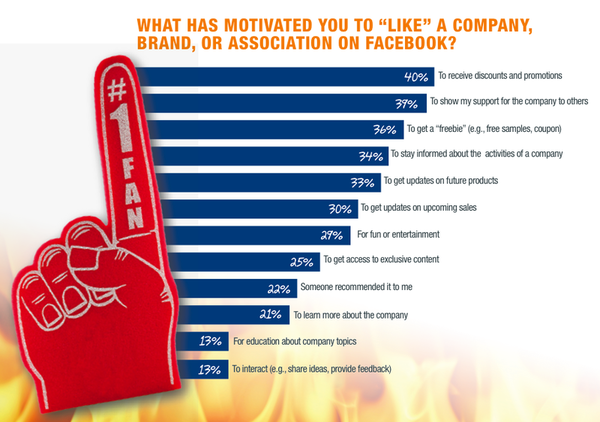 In fact, it’s what motivates consumers to Like a brand on Facebook. If a brand gives consumers a promotion they value; that brand receives their support and sharing with others. Sounds like a fair exchange. It used to be businesses had to buy or rent list to have this kind of value exchange with consumers. Now, apps and software from companies like Wildfire, Strutta and Buddy Media make it easy to build it instead of buy it. Whether your business is a local pilate studio or Pillsbury, cost shouldn’t be a barrier to entry. 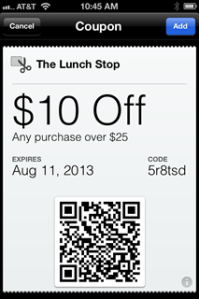 Social promotions can get started with low out of pocket costs. What an example of a social promotion? 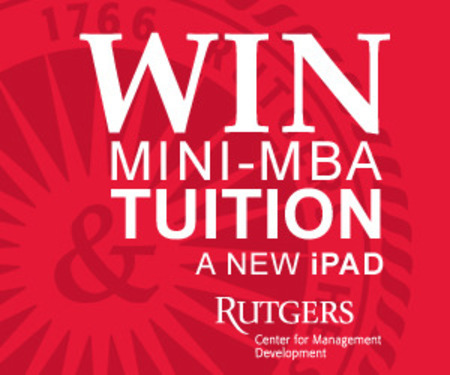 Rutgers University is running a sweepstakes now to win tuition to one of the university’s Mini-MBA programs and a new iPad ($5000 value). It’s running from July 5th through August 27. What’s it look like? 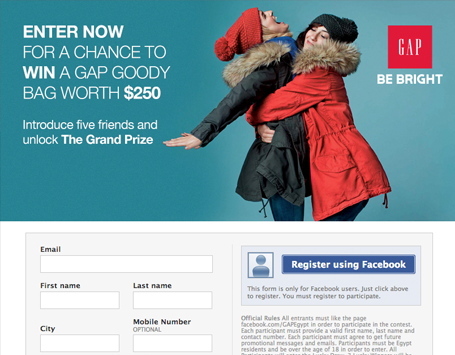 Go to their brand Facebook page or click on the image below. Here is how Rutgers is expecting to build business and ROI using social promotions and 10 steps to take. DEFINE BUSINESS GOALS: In this case, the goal is to create awareness of the Mini-MBA programs and generate tuition revenue that exceeds the cost of the promotion. Although promotions costs cannot be disclosed, a Mini-MBA costs from $3,300 to $5,000 to attend and it won’t take too many new tuitions for Rutgers to be in the black. CREATE A MEANINGFUL OFFER: The offer is the centerpiece of any social media promotion. Dollar value helps but more important is there is brand affinity and involvement with the audience. ESTABLISH MEASUREMENTS: Since registration occurs on their website, Google Analytics are being used to measure: 1) How many new visitors, 2) where they come from, 3) what pages they view and 4) do they go to the registration page. Facebook Insights is being used to measure: 1) Reach, 2) Likes, 3) sharing 4) engagement and 5) people who are talking about it. Booshaka is being used to measure advocates on Facebook. SUPPORT THE PROMOTION: A very small percentage of promotions go viral on their own. Virtually all require regular support. In this case, a PR release, email newsletters, frequent postings and Facebook ads, as needed, are being employed. BE TIMELY IN RESPONSE: You don’t have to be perfect in execution but you have to offer timely response if someone has a question or a problem. You win trust when you show you bent over backwards to address it. MONITOR THE BUZZ: There are many blogs that exists to let others know where the best sweepstakes, coupons and offers are on the internet. Find them through a Google Search and see if your brand is receiving mention. These serve as free advertising for your promotion.You can see how much traffic these websites get on Alexa or Compete and develop relationships through comments with the bloggers. BUILD A DATABASE: Everyone who enters is now in your database. They are a brand asset for future communications. CONDUCT CONSUMER RESEARCH: One of the ways the database can be used is for survey research at a fraction of the cost of traditional market research. TAKE RULES AND REGULATIONS SERIOUSLY: Available apps have the space for rules and regulation but you have to write them. There are laws surrounding promotions. Fortunately, there are enough brands in many categories doing social media promotions to offer direction. For this promotion, rules and regulations had to be approved by legal counsel and two Deans. BE IN IT TO WIN IT FOR THE LONG TERM: Social media promotions are scalable and sustainable. Once you have the results and learning from one, they are meant to be repeated, revised or reworked. With each iteration, they continue to build business with measurable ROI. Would you consider social media promotions for your business?